This Friday released sequel of 2011’s Force, is witnessing good enough response across the country despite the cash problem due to demonetization. Being much hyped because of its prequel as well as star power, earlier it was expected to receive decent after the release but the movie is getting better than expectations. In weekdays too, it has enough hold over audience and heading a steady note. 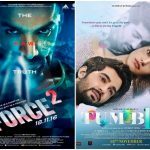 In the opening weekend, Abhinay Deo’s directorial Force 2 had reported 20-35% of occupancy through out and did the business of 20.05 crores, which is way higher than the adjacent release Tum Bin 2. It’s weekend total was included 6,05 crores of Friday, 6.50 crores of Saturday and 7.50 crores of Sunday. Now the movie is running in weekdays and asusual facing considerable drops in its business. 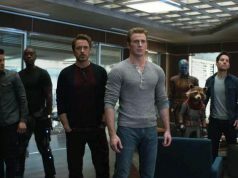 On Monday, it faced almost 60% of fall than Friday and minted the amount of 2.80 crores. On the next day i.e. 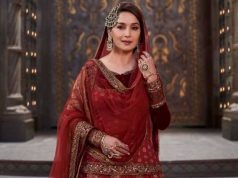 Tuesday, it witnessed more drop and added the amount of 2.70 crores to its account, which made its domestic total as 25.55 crores. 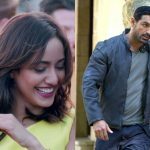 While the Anubhav Sinha’s directorial and the sequel very much appreciated 2001’s romantic drama Tum Bin, had recorded the occupancy of only 10-20% in the opening weekend and registered the business of 2.40 crores including 0.60 crore of Friday, 0.80 crore of Saturday and 1 crore of Sunday. After entering in weekdays it also started getting lesser audience than weekend and raked the business of 0.35 crore on Monday with almost 45% of drop than Friday. 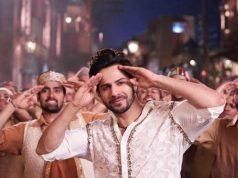 Then on Tuesday it witnessed more drop and collected 0.29 crore*, which made its 5 days collection as 3.04 crores* from Indian screens.